As a complete mechanical contracting company, CAM installs and services heating, ventilation and air conditioning equipment and systems. Supported by 45 employees including highly skilled and licensed service technicians, pipefitters and sheet metal fabricators and installers, we provide a full range of services for both public bid projects and private companies. Our service department has a 24-hour on-call service team who provide both repairs and preventative maintenance to commercial heating and cooling systems. We are equipped with the mechanical industry's cutting edge technology. 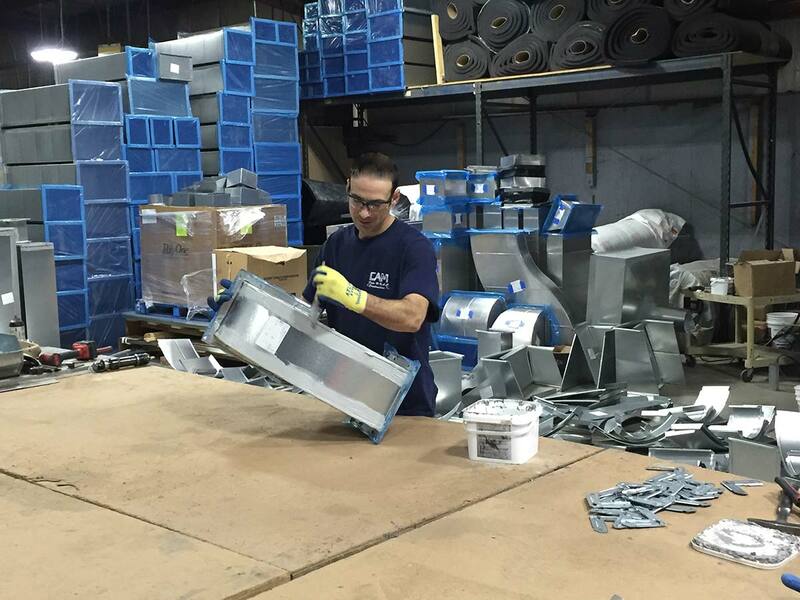 Fabricating welded black iron, stainless steel and aluminum ductwork is our specialty. Our in-house Sheet Metal Fabrication Department is fully computerized with state of the art equipment enabling us to fabricate heating, ventilation and cooling ductwork. This allows our knowledgeable staff of mechanics to not just fabricate but also install any project presented to us in the most efficient manner possible. CAM’s fleet of vehicles includes a variety of vans and delivery trucks allowing us to work on all size projects throughout the Commonwealth of Massachusetts and the State of Rhode Island. We strive for excellence and always focus our attention on our customers’ needs and their complete satisfaction.